Simple Mail Transfer Protocol, usually abbreviated as SMTP is a communication protocol used to transfer electronic mail (email) to the email servers. In many articles and guides, like in the guide on How to Set up Free Hotmail, Yahoo!, GMail, AOL and other e-mail in Windows Live mail you have noticed the word SMTP. In this article specifically on Simple Mail Transfer Protocol or SMTP, we will go in to technical details. 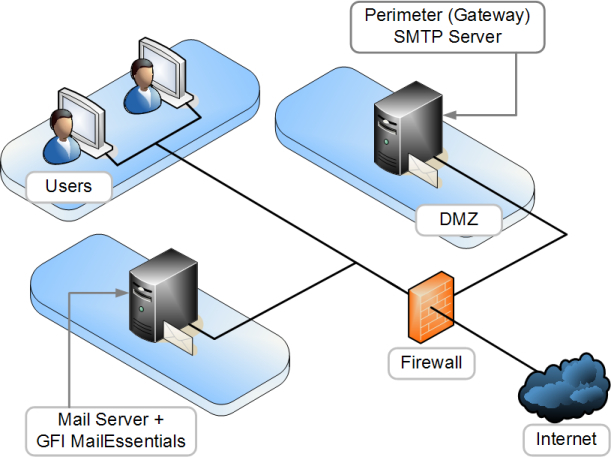 SMTP is a relatively simple protocol (as the name Simple Mail Transfer Protocol suggests). We begin by specifying the sender of the message then the recipient of an email, and then, usually after checking their existence, the message is transferred. It is possible to test a SMTP server using the command telnet on Port 25 to a remote server. SMTP begins to be widely used in the early 1980s. It is then further upgraded to UUCP, the latter being more suitable for the transfer of mail between machines whose interconnection is intermittent. SMTP, on the other hand, works best when the machines that send and receive messages are permanently interconnected. The software Sendmail is one of the first, if not the first e-mail server that used SMTP. Most email clients can use SMTP to send messages. Some new servers have emerged as Postfix, Qmail, Exim and Exchange of Microsoft (which also performs other functions). Since the protocol used text is in ASCII (7 bits ), it did not work for sending any bytes in binary files. To overcome this problem, standards such as MIME were developed to allow the encoding of binary files via SMTP. Today, most SMTP servers support the MIME of 8 bits, which allows you to transfer binary files almost as easily as plain text. SMTP uses TCP for data transfer. SMTP does not allow remote retrieval of emails arrived in a mailbox on a server. The standard Post Office Protocol (POP) and IMAP were created for this purpose. The transfer of messages between mail servers is usually on port 25 which is the standard port registered with the IANA . The servers use the MX records for DNS servers to route mail. The email client also used port 25 (SMTP) to submit messages using the SMTP protocol. But the need to better monitor customer shipments, in particular authentication, lead to the allocation of port 587. Server administrators can choose whether clients use TCP port 25 (SMTP) port or port 587 , as formalized in RFC 6409 ( RFC 2476 in old version), to relay outbound mail to a mail server. Many servers support both. Although some servers support port 465 (historically) for secure SMTP in violation of the specifications, it is preferable to use standard ports and standard ESMTP commands according to RFC 3207 if a secure session must be used between the client and the server. One limitation of SMTP is the inability to authenticate the sender. For this, the extension SMTP-AUTH has been defined. Unfortunately, the impossibility of imposing widely SMTP-AUTH protocol has made ? ?it powerless to the phenomenon of spam . Spam is due to a number of factors, including the software implementation Mail Transfer Agent (MTA) does not meet the standards, security vulnerabilities in operating systems allow spammers to remotely control PC users and let them send spam, and finally a lack of intelligence of some MTA. To fight against this phenomenon, there are two approaches: changing SMTP (or replace) or add it to other protocols to fill the gaps. SMTP change completely does not seem feasible, because of the importance of network servers already installed. Nevertheless, alternatives have been developed as Internet Mail 2000 or ePost. This Article Has Been Shared 4916 Times! Cite this article as: Abhishek Ghosh, "Simple Mail Transfer Protocol (SMTP)," in The Customize Windows, July 7, 2013, April 18, 2019, https://thecustomizewindows.com/2013/07/simple-mail-transfer-protocol-smtp/.